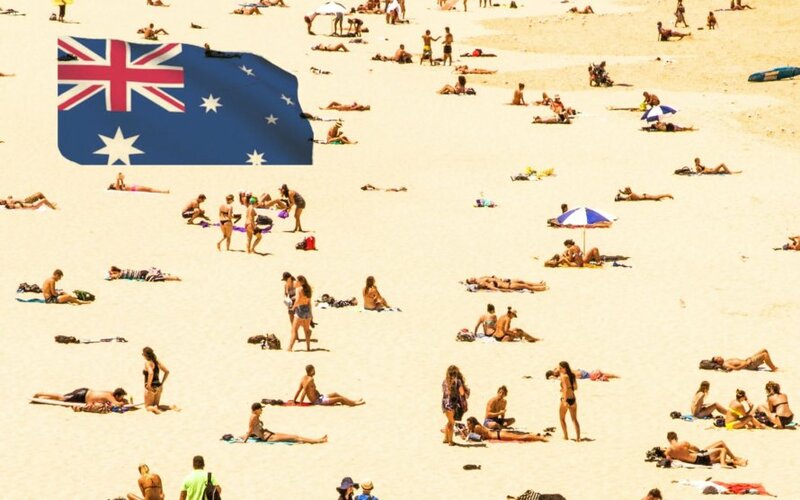 The controversy surrounding the topic of Australia Day this year was something I’m sure you all heard – well for those of you who are in Australia anyway – because the conversation quickly turned from a whisper to a very loud scream. All of a sudden after years of cries, the Australian population slowly began to realise the significance of Australia Day to our Indigenous population. For those of you who aren’t aware of what the 26th of January signifies for the Aborigines, it was a day back in 1788, that the slaughter and desolation of their people began. It’s a day that signifies the arrival of the first fleet. A day that the British flag was raised in New South Wales and the Aboriginal people were treated like animals, slaves and swatted away like flies. It marks the beginning of destruction, the brutal act of genocide and the end of all that they once called home. So, on this day when over 97% of the population are deep in celebration, the people who held this land before us, are mourning the loss of their freedom. What I was also completely unaware of, was that Australia is the only country in the world that uses the landing of Europeans as their national day. For every other country, their national day is the day in which they settled independence. That’s enough in itself right? Well. My question to you – without being brash – is simply, why not? I don’t know a single person who thinks about what Australia Day actually signifies on the 26th of January. It has virtually no symbolic meaning to white Australians. The only thing that crosses our minds on this day is merely the fact that it’s a day off work, an excuse to get drunk, to listen to the hottest 100 and to dress up in tacky clothes covered in the Australian flag… Which is the entire problem. Don’t get me wrong, these things are 100% ok; all of which I have participated in too. But really, what difference will it make to almost the entirety of the population who aren’t suffering, if it was just moved one day? The controversy really does baffle me. The fact that people can be so against something that will never truly affect them, but will affect the people who originated this land in a way of sheer anguish – is far beyond my belief. These people were here long before us. Their ancestors were murdered, their futures torn apart, and still, we somehow have little to no respect. It’s important to remember that yes, we are all Australian. But they are Australia’s history. Our non-indigenous population will never be negatively affected by a simple change of date – It’s a selfish thought to say the least. It’s merely nothing more than an inconvenience. There does not need to be any burning of the Australian flag. There does not need to be any riots, fights or exceeded discrimination. Australia Day is and always will be, a day to be proud and grateful to call yourself Australian – but the thing is – the day it falls on will make no difference. No, it’s never going to ever change the past. 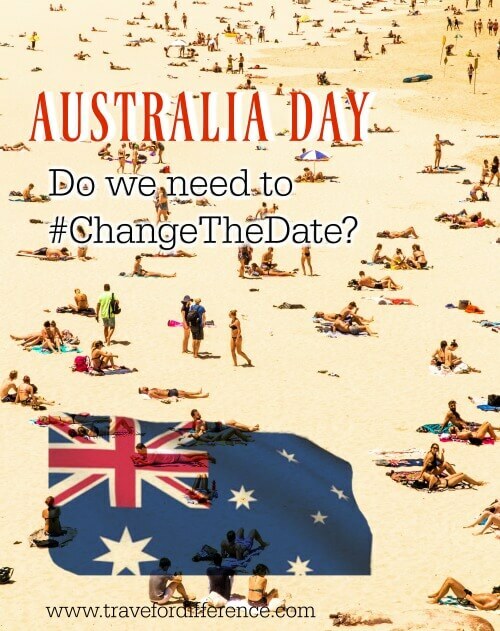 But if changing Australia Day to the 27th of January is making people happy, there’s really no downfall. Remember that quote “Compassion Over Comparison“? This is when it needs to come into play. We – all 97.6% of the Australian population who aren’t Indigenous – wouldn’t know the difference if we were to take the 27th of January off work to get drunk and wear tacky clothes. But the entire Aboriginal population would. I’d love to know your opinion on this one. For those of you who live in a different country, what are your thoughts? I have to admit that I’m an ignorant Brit who new nothing of Australia day until I stumbled across this article, but having now read this I completely agree that the date needs to be changed. The connotation of the celebrations otherwise are pretty horrible :(. It’s amazing that you agree! I personally can’t be proud of my country on a day that causes suffering for so many. It’s a difficult situation, but I think the answer is pretty easy if we all had a little more compassion. Thanks so much for reading Alice!